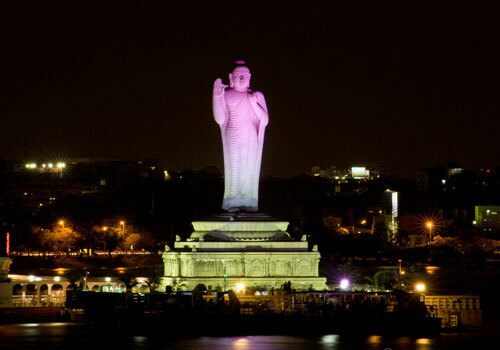 Hussain Sagar Lake Hyderabad: Situated just 2km away from the heart of the city, Hussain Sagar is one of the most popular tourist places in Hyderabad. 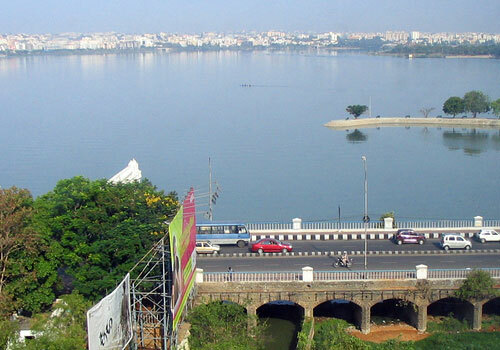 The lake connects two parts of the city (Secunderabad and Hyderabad) to each other. The largest artificial lake in Asia, Hussain Sagar lake was excavated in 1562 AD during the reign of Ibrahim Quli Qutub Shah. Built on the tributary of River Musi, the lake has been named after Hussain Shah Wali. 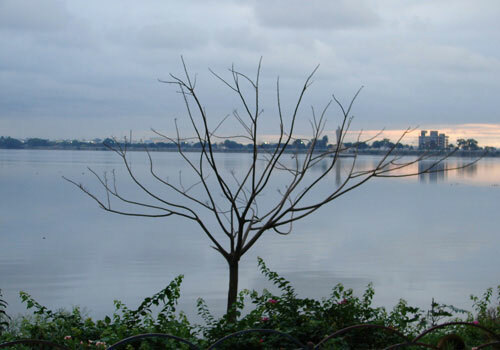 Hussain Sagar Lake was initially to build to cater to the irrigation needs and other water needs of the city. Until the year of 1930, it was used for the same purpose. Having been bordered by Indira Park in the east, Sanjeevaiah Park in the north and Lumbini Park in the south, the lake presents a setting quite rare to find in the middle of any city. There is also a bund on its banks, which was built to control the flow of water. This artificial lake now beautifies the city gracefully. Not just for beauty, it is also known for its historical connection. On the banks of this Hussain Sagar Lake the treaty between Mughals and Golconda was signed. At the middle of the lake, you will find a huge statue of standing Lord Buddha which has height of 16 m and weighs almost 350 tonnes. Made up of white granite, the statue is on the ‘Rock of Gibraltar’. The lighting show at the statue is something that is worth watching. Along with this,there are almost 30 statues of various famous personalities around the lake as well. 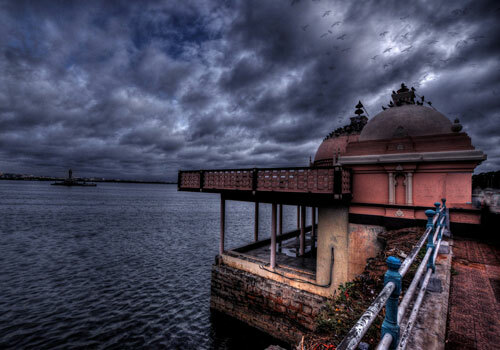 A popular recreational spot, the Hussain Sagar Lake attracts visitors of all age groups. Whether a family picnic or outing with friends or your partner, this lake is visited by every Hyderabadi. Boating at the lake is quite enjoyable. 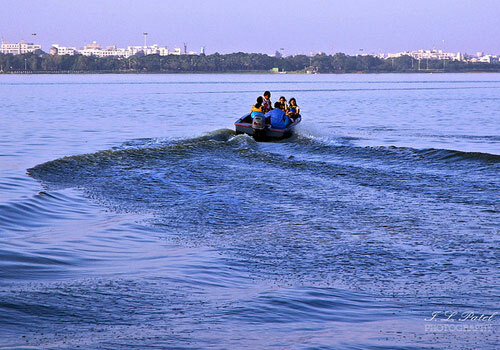 There are various options of boating at Hussain Sagar Lake such as speed boats, motor boats, etc. Another major attraction of the lake is the 48 seater launch which also offer its guests with dinner as well as available for private parties if required. 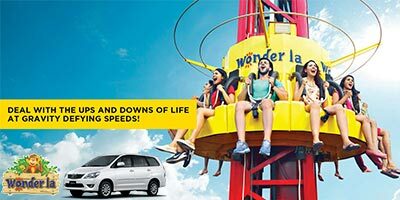 One can also do parasailing at Hussain Sagar Lake or water skiing, although the timings and availability of these activities do vary from time to time. Cruising at the lake makes the visit all the more enjoyable. 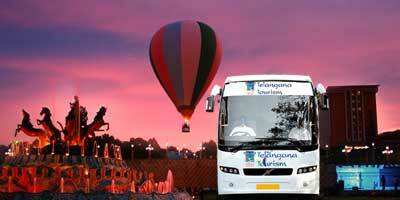 Hussain Sagar lake also enjoy a good location. It is easily accessible from the rest of the city and well connected by local trains as well as buses, taxis and autos. 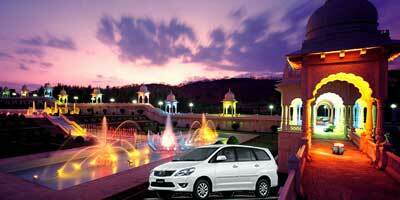 And once you are here by the lake side, you can also go exploring other tourist places of Hyderabad. Birla Mandir, NTR garden are located quite close by. If interested you can club you visit to Hussain Sagar with Jalavihar waterpark, combining excitement of water games and soothing setting of lake for a perfect day outing. You can visit the lake throughout the week; it is open on all days. Hussain Sagar lake timings are from 8 am to 10 pm. Even a simple long drive on the roads by the side of lake is also quite refreshing. It is very famous. 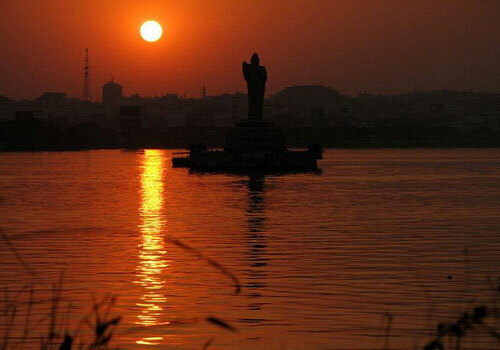 You will see Hussain Sagar lake photos in every article about Hyderabad! 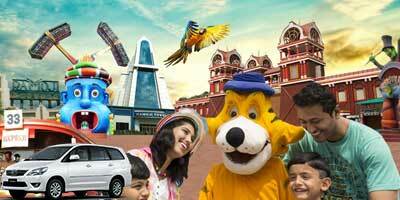 So I had gone there thinking it is the best place of Hyderabad but I ended up being more disappointed. Lake is beautiful with the Buddha statue. There is a food court too for you to sit and eat. But everything is badly maintained. Lake is dirty and if you go too near it stinks! 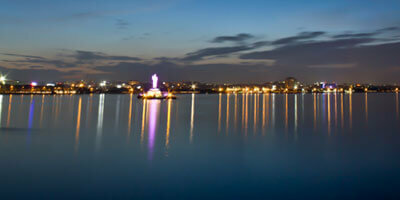 I often go to Hussain Sagar Lake, especially in evening. There is a ferry to the tiny island where Buddha statue is located, which is the best part of this lake. The ticket is also minimal so you can hop in on one of the boats without much thought! The feel at the boat is awesome. You can see the city from there, vehicles passing on roads looks like glittering lights. 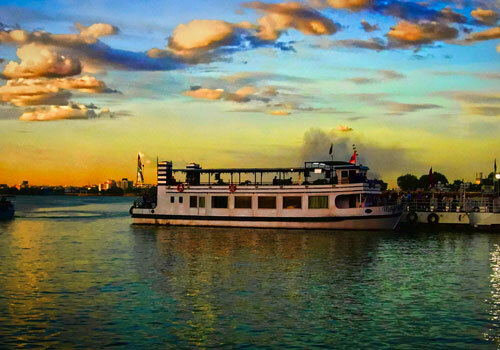 This boat ride takes almost 40 minutes so go only if you have enough time. But the lake do smell little bad, so beware of that..
Hussain Sagar lake is a manmade lake which was built for irrigational purposes. Now it symbolises the beauty of Hyderabad and is one of the historical places too. I went there without any planning. Sat there for some time, it was relaxing to sit and just watch the lake. I had gone on weekday so it wasn’t very crowded. There are activities to do as well. I only took the ferry to the statue. The statue looks even more glamourous from close up. Negative aspect of the lake is its maintenance.. lake smells somewhat bad.. I had gone to Hussain Sagar lake many years back. Now the place has really changed. It’s dirty and the lake is unclean. Even when u sit and eat the smell from lake make it unbearable. It was a beautiful lake, pride of Hyderabad but now being ignored. We were quite disappointed seeing the change. The good thing left now is the view of the lake. So better to see from distance and leave. 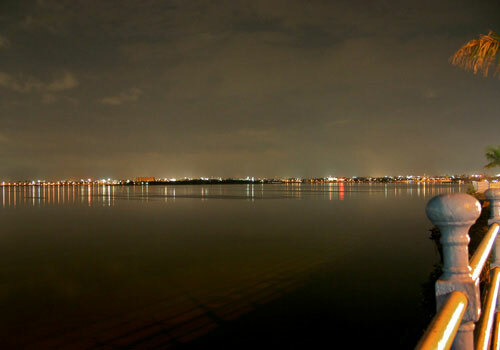 I have visited Hussain Sagar lake thrice and every time I have been mesmerised with its beauty. It is most beautiful in night, when all the lights switched on and even Buddha statue in the middle of the lake is lighted. As the food court at eat street is not that great I didn’t go to eat or sit there, I have gone to the park adjacent to the lake, sat there for some time and enjoyed the view. Opening timings for Hussain sagar Lake is till 10.30 pm. 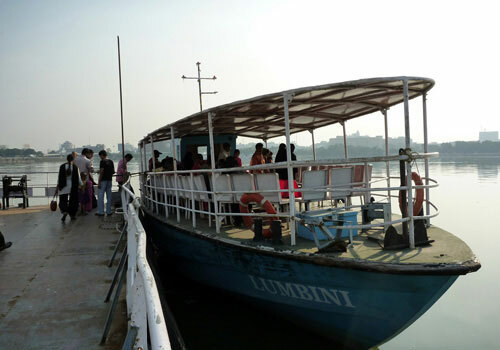 Hussain Sagar lake is close to Lumbini park and NTR gardens so we could club these places and had planned the day for our kids. They liked it, they could play in the parks and then rides at eat street. We had our lunch, pizza also there itself. In evening we went for ride at the Hussain Sagar lake. We had good time and my kids loved the day. Go to Hussain sagar lake in evening. We went on Sunday so it was too crowded but I guess on weekdays it would be more peaceful. The sight of lake and stature of Buddha looks awesome. By evening when lights are lit up, this place becomes even more captivating. Lake looks so calm and serene, that too right in the middle of the city!